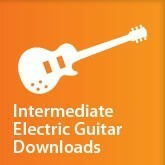 Intermediate Electric Guitar Downloads - Part 14 Open chords up the neck in E. Using octaves in other positions. Exploring lead guitar tones and semi-tones. Open chords up the neck in E.
Using octaves in other positions. Exploring lead guitar tones and semi-tones. You're reviewing: Intermediate Electric Guitar Downloads - Part 14 Open chords up the neck in E. Using octaves in other positions. Exploring lead guitar tones and semi-tones.